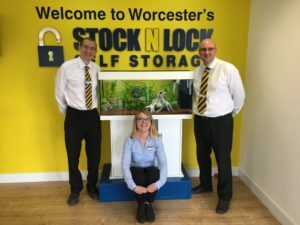 Stock N Lock Are Finalists For The Best Facility Of The Year! Stock N Lock Self Storage are delighted to announce that we are finalists for the UK Independent Facility Award as voted by The Self Storage Association UK!! In 2015/16 and 2016/17 we won this category and now we are over the moon to be short-listed as one of the 5 finalists this year! All stores are judged on a variety of different aspects including customer service, presentation, performance and business development. Winners will be announced on the 21st September at the SSA Awards… Let’s hope we can win it for a third year in a row!